Maltese for a singular loaf of bread. No meal is complete in a Maltese household without this kitchen staple. Traditionally, the Maltese loaf is a sourdough bread baked in wood-fired ovens, giving its thick dark-brown crust. The traditional classic is ‘Ħobż biż-żejt’ (bread with oil) which refers to a sandwich with kunserva (tomato paste), olive oil and occasionally canned tuna. The word is used in several Maltese idiom as it provides for several connotations. 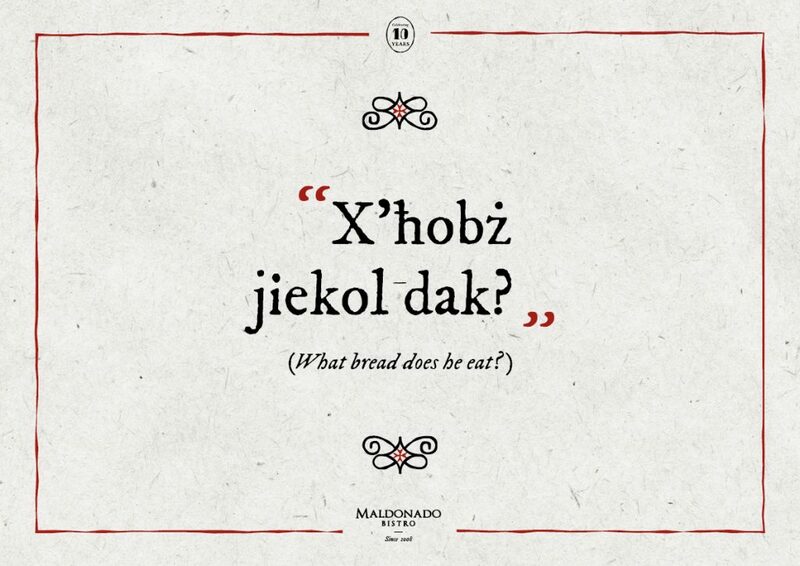 For example, ‘X’ħobż jiekol dak?’ (What bread does he eat?) is commonly used when asking someone about the good or bad character of another person. It is also used in ‘Ħobża u sikkina’ (Bread and knife) when referring to two persons who are always seen together, just like a Maltese loaf of bread, traditionally not sliced and not packaged, was always found with a knife next to it for quick and easy consumption. In days gone by, it was a ‘sin’ to throw away or waste bread, and people would pick up any piece of bread found on the floor, kiss it and dispose of it in a more dignified manner since bread was the chosen medium of the Lord for the mystery of the transubstantiation. At Maldonado Bistro we pride in baking our own bread, freshly on a daily basis. We prepare two varieties. 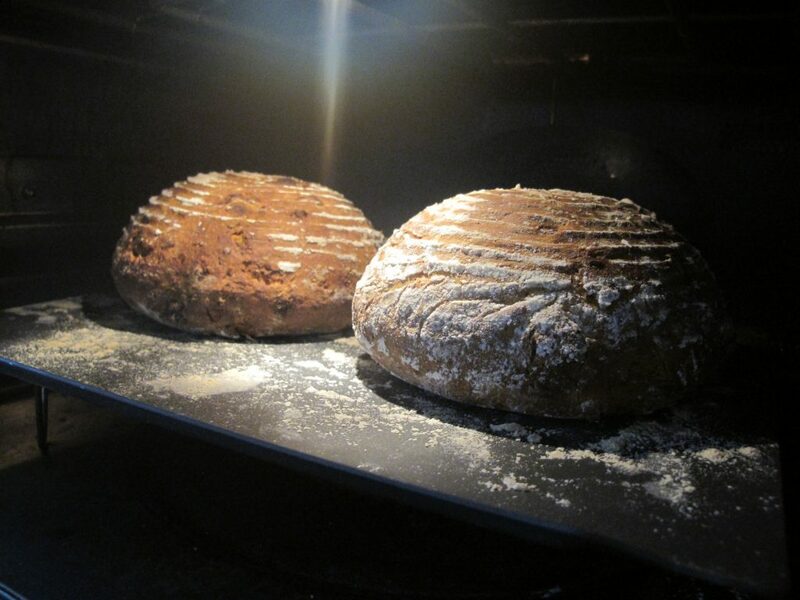 Our customer favourite is our soda bread with sundried tomato and rosemary. Our second variety is a white bread roll which we alternate with zaatar, poppy seed, and plain.